There are two situations that should be distinguish when you're interested in purchasing Bondway's products including ultrasound scanner, patient monitor, pulse oximeter, equine ultrasound, cattle ultrasound,veterinary ultrasound, easiscan, ultrasound for farm animals and companion animals,etc. 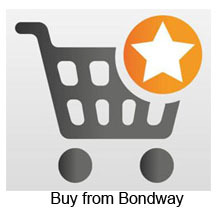 1) For countries or regions that Bondway has EXCLUSIVE distributor, you need to purchase from your local distributor. 2) For Countries or regions that Bondway has NON-exclusive distributor, you can purchase from Bondway directly or from your local NON-exclusive distributor. Remark: For big orders with total amount exceeding USD20000, Irrevocable Letter or Credit at sight (sight LC) is also acceptible.